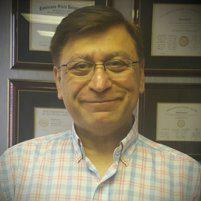 Dr. Hamid Kamran always appreciates feedback from his valued patients. To date, we’re thrilled to have collected 5 reviews with an average rating of 4.4 out of 5 stars. Please read what others are saying about Dr. Hamid Kamran below, and as always, we would love to collect your feedback. She didn’t send my prescription to pharmacy. I had to call again. Very confident with Dr. Kamran medical treatment and with you nice & kind beautiful ladies in the office. They told me in advance he was running 30 minutes late and gave me the opportunity to reschedule. The doctor was very thorough as to findings so far and recommended next steps. So far no definitive diagnosis. Great bedside manner.